Excellent 4 bedroom property for a Family with an extra Studio! 5 BLOCKS from SAMS CLUB! Casa David has two storeys. Living & dining room, Kitchen, 1 Bathroom and an extra Studio on the ground floor. 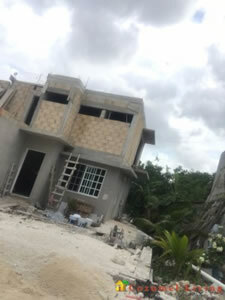 While on the upper floor there are 4 bedrooms and 1 bathroom. ALL THE CONSTRUCTION HAS HIGH CEILINGS OF 3 METERS OF HEIGHT! THAT GIVES YOU A FRESH AMBIANCE! The property has access on both sides, from the front and from the back. The back patio has enough capacity to park 4 cars. 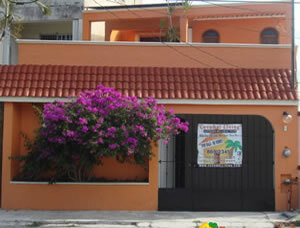 Casa David is located in front of a park, excellent to spend free time and recreation! 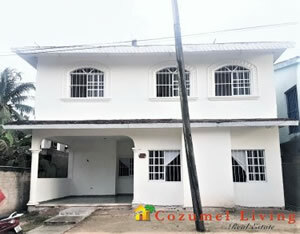 Very large 1 bedroom house with 2 rental rooms across center walkway. Would make great AirBnB rental. 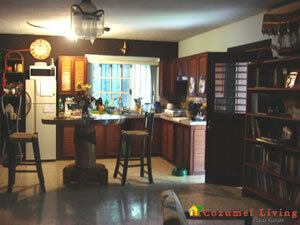 Each room is air conditioned and has their own bathroom with a TV and small refrigerator. Large shade trees in the back yard with fountain. Comes with a Volkswagon convertible! Great beach car. The rooms and house are fully furnished. Nice covered patio off the back of the house. 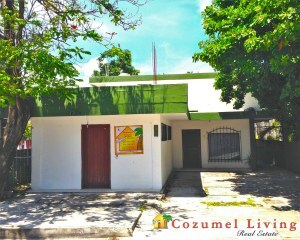 In a good location off Calle 11. Check this one out!! SAME DAY APPOINTMENTS FOR SHOWING ARE WELCOME! 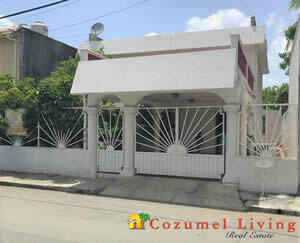 Cozumel Dreamers, this is your house! Large, multi use property with nothing but potential. 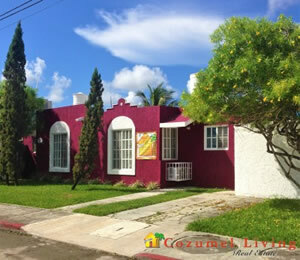 Casa Fritz is downtown, on an oversized 440 square meter lot, located on Calle 8 Norte between Avenida 40 and 45. The current contstruction has a local, that could be used as an office or a shop, a 2 bedroom house (whose first floor could be used as a restaurant), a large back yard and 3 studio apartments, and 2 more floors can be added. 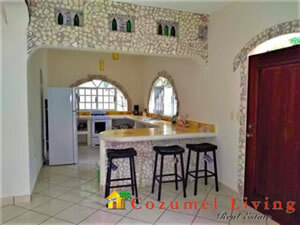 With a little bit of work, your dream of living in Cozumel and running your own business, could come true! 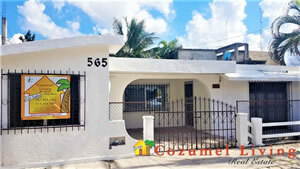 Excellent house near Downtown of Cozumel. Large house with ne Bedroom and one level with a separate room to the front with a bathroom. The house has a living room, dining room, kitchen, bedroom and a bathroom. It has a large backyard. It has enough space to add a pool. It has foundations to build a studio in the yard and to add a second floor. Has a well plus is on city water. Annual garbage is 420 pesos . One large bedroom with bathroom. Extra room in front of house (separate) with bath. Sitting on a corner this 2 bedroom, 2 bath home has a galley kitchen, off street parking a huge garden – perfect spot for a pool, and is ready for a second floor. It also has a secret… it is actually 2 homes that were combined…. That means, you could have 2 one bedroom units, live in one and rent the other, or build 2 additional units on the second floor and you have a nice little income producing property. Nice big house, residential, with covered parking for 2 cars and garage. Large roof with a terrace. Large living room, dining room, kitchen with 3 bedrooms, 2.5 bathrooms upstairs. Mini-split air conditioners in all bedrooms. This house has been a long term rental for many years, a lot of commercial investment, as it is situated 65 Av. Just south of 11 Avenue. Owner is offering a SPECIAL to paint the interior of the home for the NEW buyer! 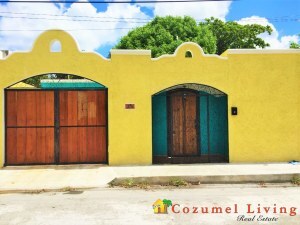 Cute little yellow home on the corner conveniently located 2 blocks to the ocean off Calle 11 and less than a mile into the center of town. This home has been taken care of exceptionally well. 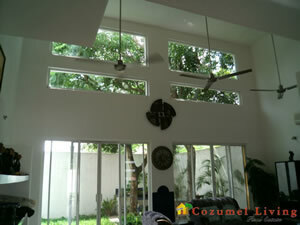 Has a very mature tropical garden, and a terrace on the 2nd level upstairs for great visiting. This home has a large bedroom with full bath on the ground level, small kitchen, ½ bath, and living room. There are 2 bedroom, terrace, and a bath upstairs. The rooms have mini-split air conditioning. 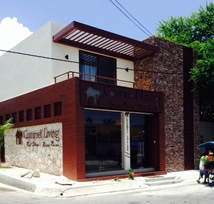 Located in the Corpus Chrisiti neighborhood. 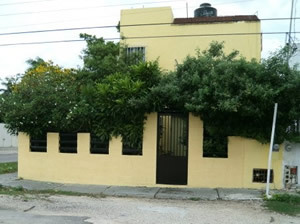 Complete outside studio, 2 terraces in a great nice neigbordhood. Living room, dining room, kitchen with bar in an open concept, bathroom with bathtub, master bedroom with patio and 2nd bedroom. The laundry room is off the kitchen and accessible to the back of the house. The Garage has ample space for parking 2 cars and a workshop. An artists delight! LOT SIZE - 25 x 28 m = 700 m2 84 ft. x 94 ft. = 7903 s.f. 25 AV. C between Calle 19 y 21 Sur. 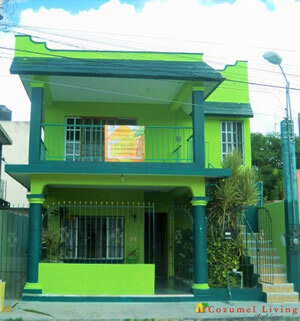 Casa Bonaventure is everything you have been looking for. This house is a 3 bedroom & 2.5 Baths, Living Room, Dining Room, Open Kitchen, Laundry Room and mini splits A/C; and in those hot days there is a pool to cool off in the back yard. There are also 2 gated spots for parking. This house comes fully furnished so all you need to bring is your suitcase! 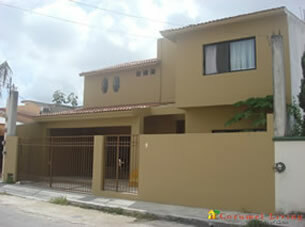 Spacious two story, 4 bedrooms, 3.5 bath furnished home in the Independencia neighborhood. All nice homes surronding this house. Secure location with a garage with automatic opener, space for laundry, a big beautiful kitchen with royal blue tiles and dark wood cabinets and stainless steel appliances. Bar looking into the living room with high ceilings and a lot of windows facing the backyard and patio with bar-b-que grill for outdoor entertainment shaded by a big tree that provides ample protction from the morning sun coming in the 2 story windows. A modern home with American style amenities such as a high pressure water system, dedicated drinking water lines, high ceilings, a pantry and a bathtub. There is a downstairs bedroom with 1.5 bath and the master bedroom and 3rd bedroom upstairs each with their own bathrooms. Double sinks and tub in master bathroom. Ample closet space and built in shelving throughout the house. There is a stairway to the rooftop going up the back of the house to access services on the rooftop. There is also a nice outdoor shower in the back yard. The back yard is large enough to add a swimming pool.